In mid-November, two of our volunteers led a staff ride on the site of the “Battle Road” in Massachusetts. A staff ride is a historical study of a campaign or battle that envisions a systematic study, an extensive field study phase on the actual historic site , and an integration phase to capture the lessons derived from each. This event was hosted for students at a military war college and their families. The event began at the bend in the road where Paul Revere was captured by a British patrol on his fateful ride. This part of the trail is a good setting for visualizing alarm riders spreading the news on narrow New England lanes and roads. 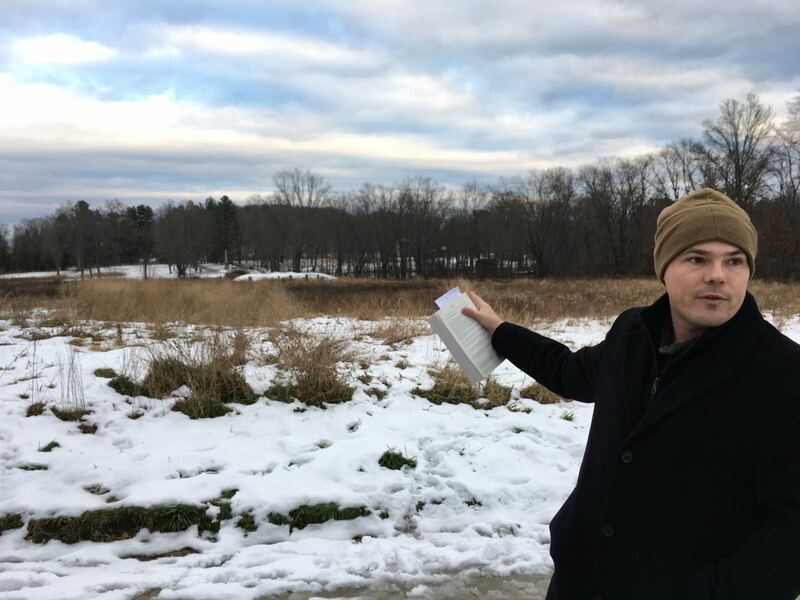 The site itself is commemorated with a monument, and a modern observer can see how the ground slopes steeply off to the right and opens to a field with woodline beyond to the left — likely where Dr. Prescott escaped. Our next step was to Buckman’s Tavern and the Lexington Green. The tavern has a great collection of original period artifacts. Much of the first floor has been restored to the colonial appearance, and the second floor now houses a museum. 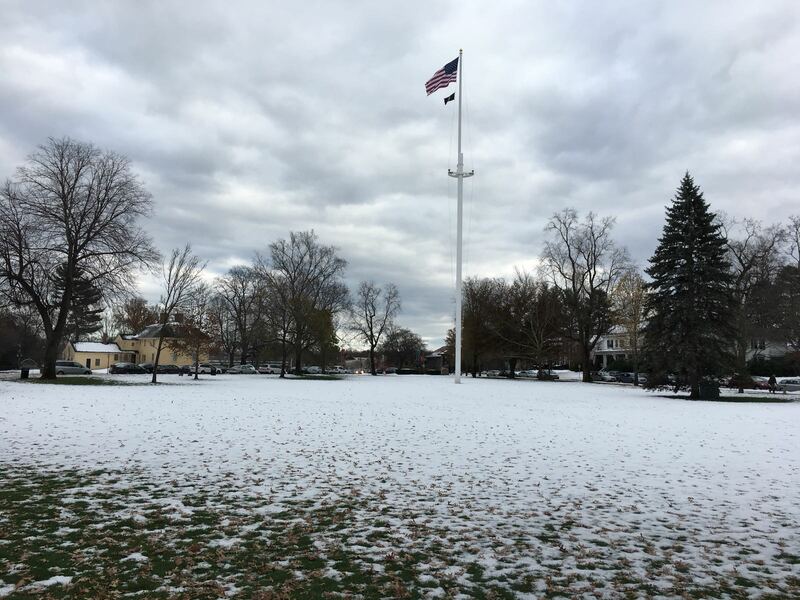 Lexington Green looking towards Buckman Tavern. Our next stop was Concord’s North Bridge. Normally the site houses a small museum, but it was closed in the winter. The site was also flooded due to recent sleet and melting snow. We were still able to follow the steps of Isaac Davies and the combined militias about halfway down from Maj Buttrick’s farmhouse to the bridge. Our next stop was to Meriam’s Corner, where some might argue the Revolutionary War began in earnest. 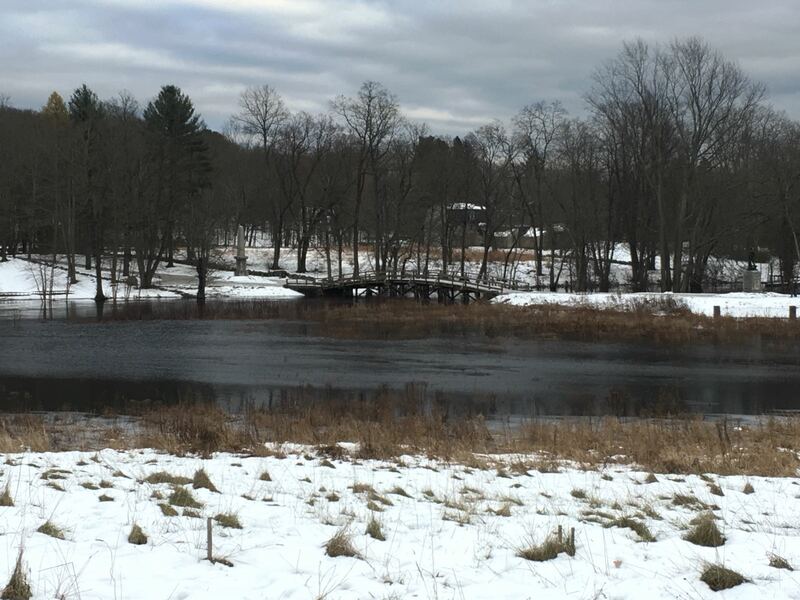 On this site, American militiamen fired back in retaliation for British shots on men from another town — “collective self defense.” Additionally, militia fired first on the British at this site, marking a departure from the strictly defensive fighting at Lexington and Concord. One of our volunteers answers questions about why the regulars broke and ran at the North Bridge. Our final stop was Hartwell Tavern, a site along the road that’s ideal for viewing some of the narrow and better preserved twists and turns as well as a good chance to discuss some of the detailed vignettes of the day. Despite the cold weather and early fall of darkness, the group had a great time and we greatly enjoyed being able to share the history of Battle Road with this special group of Blue Star families. Following the Ride, attendees received copies of Paul Revere’s Ride, and will be able to share what they learned in graduate level seminar discussion and apply the first-hand experience when tackling their academic studies. 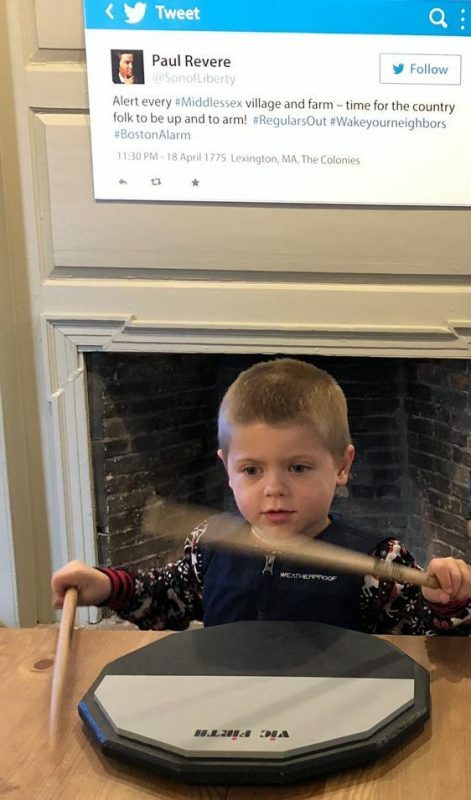 One of our young alarm riders beats the call to muster on a drum in Buckman Tavern’s children’s exhibit.